Trade is up between the three kingdoms. In each city, merchants must obtain special permits to sell their goods. To get those permits, they’ll influence the powerful families on the town’s Councils. 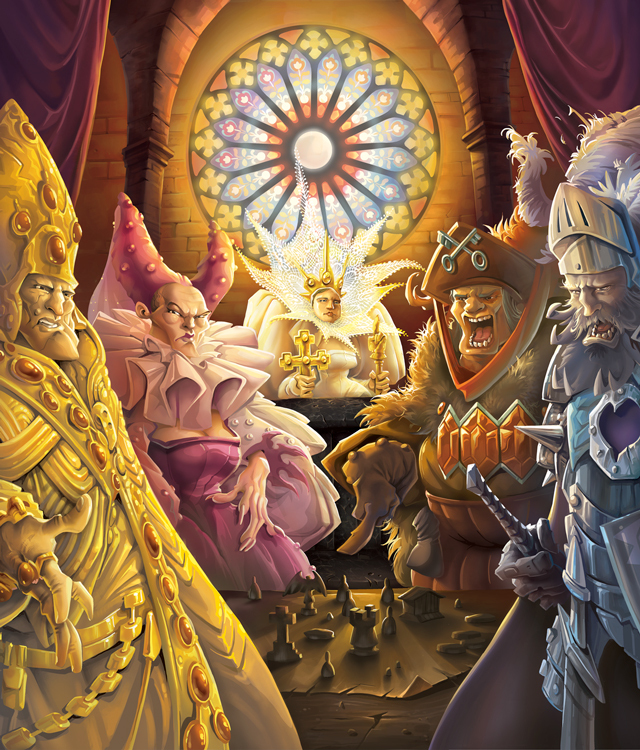 In Council of 4, players take on the role of merchants looking to form a trade empire. They influence town councils to get trading rights in the various towns. Or they can plead to the Queen, herself, for help.